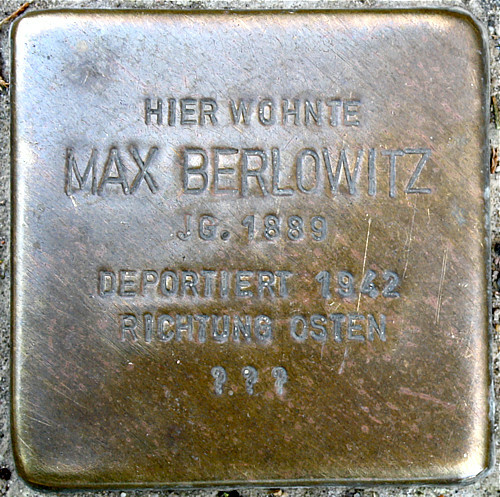 Max Berlowitz (1889 – ?) 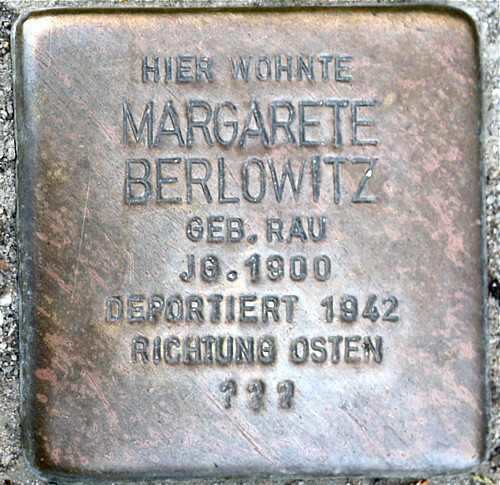 and his wife Margarete Berlowitz, geb. Rau (1900 – ?) 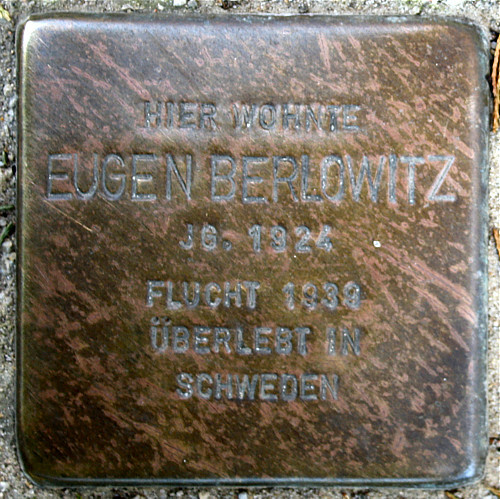 lived with their children Eugen (1924 – 1992) and Julius (1927 – ?) in Bergstraße. 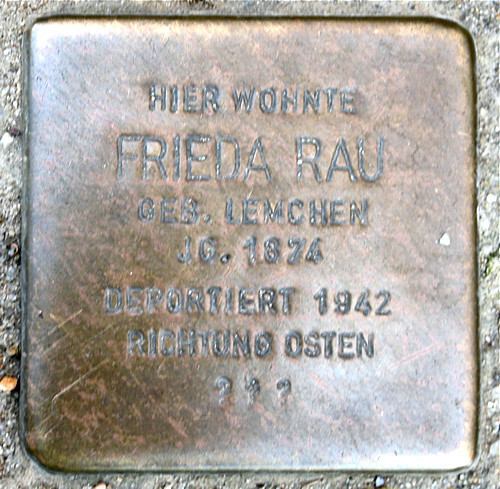 Frieda Rau, geb. Lemchen (1874 – ?) who also lived at Bergstraße 17, is that they were deported to Poland in 1942. 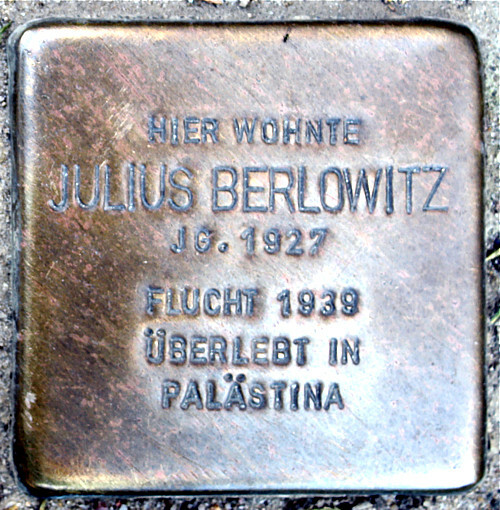 Eugen Berlowitz emigrated in his youth to Sweden, and his brother Julius went to Palestine. Today he lives in Tel Aviv. 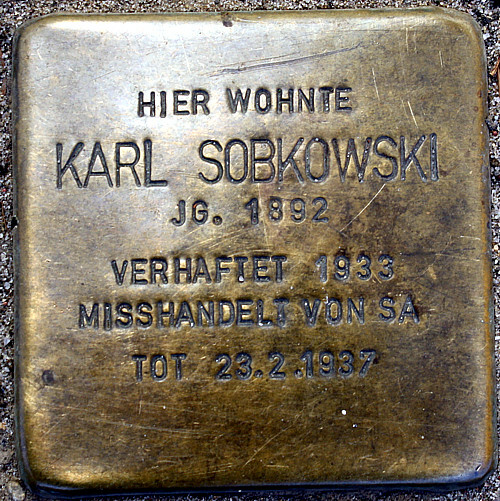 Karl Sobkowski (1892 – 1937) lived at Bergstraße 185. He worked as a wood stainer and polisher in the Frankfurt factory Mantz and Gerstenberger. Karl Sobkowski was the organiser and first leader of the Roter Frontkämpferbund (Red Front Fighters' League) in Frankfurt. On the suggestion of the KPD (Communist Party of Germany), he became a member of the city parliament, where he advocated workers' rights with intelligence and energy. Sobowski became an invalid through an accident at work. He was imprisoned in the first wave of arrests after the Nazis came to power, and was expected to be convicted for high treason. In 1934 he was acquitted, but he died as a result of the mistreatment he had suffered in custody.